If it gets dark rhodium plated silver? There are many technical ways to clean silver. At home you can only use some of them. One of the common ways of treatment is cupellation is the formation of impurities during the melting of silver. Wrap a jar of nichrome wire. Dilute clay with asbestos crumb in the ratio of 1:5 and the mix, coat the coil. Dry the muffle within 3-5 days. Lay on the bottom of the jar asbestos sheets. Stir the clay, fireclay and asbestos crumbs in equal proportions. Vilaite the ready-made cardboard form the working chamber (Cup) and the muffle furnace door thickness of 1 cm, Wait for the drying chamber and separate from it the form. Install in a jar crucible and calcined for several hours before first use at a temperature of 1000 °C. Connect the oven to the mains AC 220 V. After heating, the furnace is put into the working chamber forceps technical silver and lead. Depending on the amount of impurities in the silver, you need to use from 0.5 to 8 grams of lead. Insufficient lead will lead to low quality of separation of impurities, at the same time too large amounts of lead will increase and the consumption of silver. Lead and its oxide – lead litharge the melting absorbed into the walls of the crucible. A feature of the litharge is that it wets the crucible and with it wall drawn other metals and their oxides, in particular copper and Nickel. As the absorption of lead in the walls of the chamber, the molten mass will become more shiny. When a strong luster or so-called "silver flash", disconnect the oven from the mains. Remove the silver "ball" from the crucible and clean it from toxins. Do not heat the furnace too much work at furnace temperatures not exceeding 1000 °C to reduce the evaporation of silver. At the same time for quality cleaning silver from impurities maintain the furnace temperature of not less than 960 °C (the melting point of silver). Use cupellation in the absence of the impurities gold and platinum. Among the consumers of the market of silver is categorized as a precious metal that's designed solely for creating jewelry. However, it can be used for technical purposes. Silver is perhaps the most widespread and the most favourite man of metal. It has a lot of useful properties, both chemical and physical. Silver belongs to the group of noble metals. This element is chemically quite inert and does not react with aggressive chemicals, except strong acids. High performance thermal and electrical conductivity of silver, which finds wide application in industry. One of the important indicators of the qualities of this metal in the field of optics is its high reflectivity, which led, in due time, the appearance of mirrors. In the middle ages a thin layer of silver deposited on glass, thereby providing a clear, undistorted image of the reflected object. Since ancient times, silver is used for jewelry making and various cooking utensils, where there is another distinct advantage over other metals is its bactericidal action. Depending on where you intend to use silver to make various alloys. The addition of alloys, such as copper, tin, zinc, cadmium, and gold give the silver a different color and somewhat alter its physical and chemical properties. In jewelry silver in its pure form is almost never used, because of its high ductility and low mechanical strength. To change the melting point, lowering its ability to abrasion to increase durability without changing the color, just called ligious components. Through such processes generate silver jewelry. In the industry uses the natural properties of pure silver. 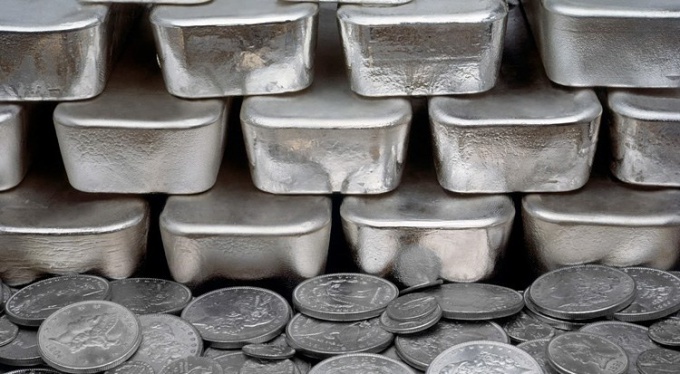 Technical silver should represent all the physical properties allowing it to be used in radio and electrical industry, the chief of which is its unique electrical conductivity. The term "technical silver" is not quite true, as he alludes to the imperfect purity of the metal. However, unlike industrial diamonds, which are in fact highly defective, technical silver, on the contrary, extremely clean 99.9% uptime. The remaining 0,1 % for impurities, and the composition of the alloys was strictly defined. Technical silver coated wires and contacts, he cast the contact group and the individual elements of the electrical designs. Pure technical silver is also present in the radio details of the devices released in the Soviet Union. Until 90-ies of the last century of industrial silver was used in the making of the film and photo finding aid. When it is necessary to improve some mechanical properties (e.g. impact strength and contacts in the starters of large magnitude), is added to the alloy cadmium. The result a significant effect on the conductivity has not. 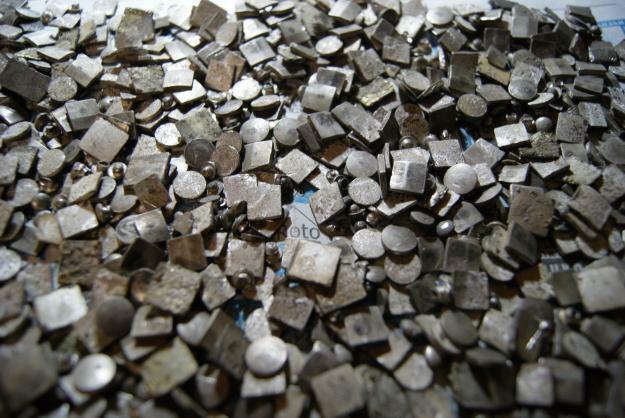 The so-called secondary technical silver is produced from argentiferous alloys technical. Processing of silver-containing scrap has economic value, and addresses issues associated with the disposal of hazardous impurities in the processing of silver-containing contact masses coming from the chemical plants.